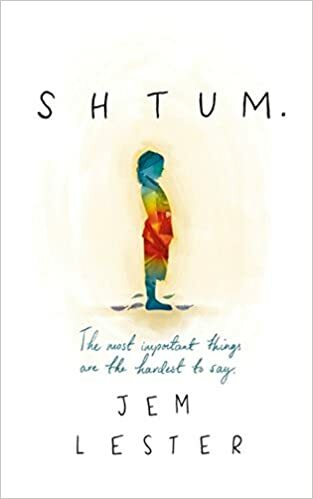 Shtum by Jem Lester is the story of a father whose ten-year-old son is autistic and has profound learning and behavioural difficulties. At the beginning of the book, Ben and Emma Jewell are about to embark on a legal battle with their local authority to get Jonah to a residential secondary school that will cater to his specific and considerable needs, rather than a local special school where they know full well he'll be miserable. Lawyer Emma insists they stand a greater chance of winning their appeal if they temporarily separate, so Ben and Jonah move in with Ben's elderly father Georg, thus putting Ben in the position of a single father with double caring responsibilities. This is very much a book about fathers and sons, and most notably, the hopelessly inept communication between them. Jonah's autism means he can't speak at all; Ben and Georg are more than capable of talking to one another, but rarely about anything that matters. While it's clear that Ben loves Jonah, it's the bond between Jonah and Georg that I found the most touching in the book. Where Georg is irascible towards Ben, he's patient with Jonah; while he's refused to tell Ben a thing about his family history, the stories he tells to a largely uninterested Jonah reveal things - and people - of whose existence Ben has never known. Jem Lester has taken care to give a warts-and-all-portrayal of his characters; he's relatively unflinching when it comes to Ben's many faults and failures. This is admirably realistic, but at the same time, therein lies the problem for me: while this doubtless makes Ben a more complex and believable character, it also makes me like him less. It's not his struggles to cope with the competing demands of Jonah and the family business that I find irksome; it's not his resentment of his father or even his anger at his now-absent wife. It's more that despite the problems he already has, he seems intent on creating more for himself. Procrastination, denial and self-destructiveness are absolutely faults that many of us have, and while it's certainly possible to forgive Ben for them, I didn't feel they made him a character with whom I necessarily wanted to spend a few hundred pages. Because this is a book about male relationships, the women characters are few and far between. This in itself is fine; I greatly enjoyed the focus on the three generations of male Jewells. But it would have been nice if those female characters that there were had been a little more three-dimensional. As it is, Ben's wife Emma is presented for most of the book as cold-hearted and selfish, despite a degree of redemption at a much later point; a brief mention of his estranged mother depicts a grotesque wheedling drunk. There's nothing about Ben that makes me believe Jonah's young teacher would immediately want to flirt with him, or why a dinner party guest introduced to him by match-making friends would find his borderline negging anything other than rude. I would also have had more sympathy over the breakdown of Ben and Emma's marriage if I could have understood what they had seen each other in the first place. The only detailed flashbacks to their relationship pre-Jonah don't give us many clues: we mainly see a self-absorbed alcoholic and a woman who simply wants a baby at all costs. I'm aware that depicting them as saintly martyrs whose love was shattered by Jonah's arrival would have been infuriating, but I'd have liked to understand their early relationship a little better. There is still much to like about Shtum. It manages to be incredibly moving without ever feeling sentimental, and despite the often tough subject matter it's frequently very funny. Its sub-plot involving Georg and his childhood escape from Nazi-occupied Hungary is every bit as affecting as the main storyline and Jonah, despite his inability to engage or communicate on any ordinary level, is somehow one of the strongest characters in the story. On the subject of autism, Jem Lester writes brilliantly well; his depiction of bereavement and displacement is also very skilful. Finally, this is a book that ends on a note of hope and new beginnings, and as such it has a life-affirming note to it that I enjoyed a great deal. I was given a free review copy of Shtum by the kind publisher, via NetGalley. I believe it's due for release in April, and I strongly suspect it will be a great success.